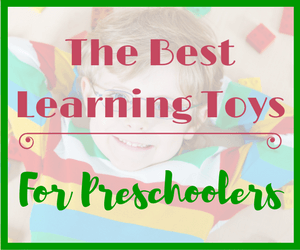 Seeme & Liz > Learning Toys (0-2 year olds) > Toys For Your Baby Registry – You Only Need These 5! 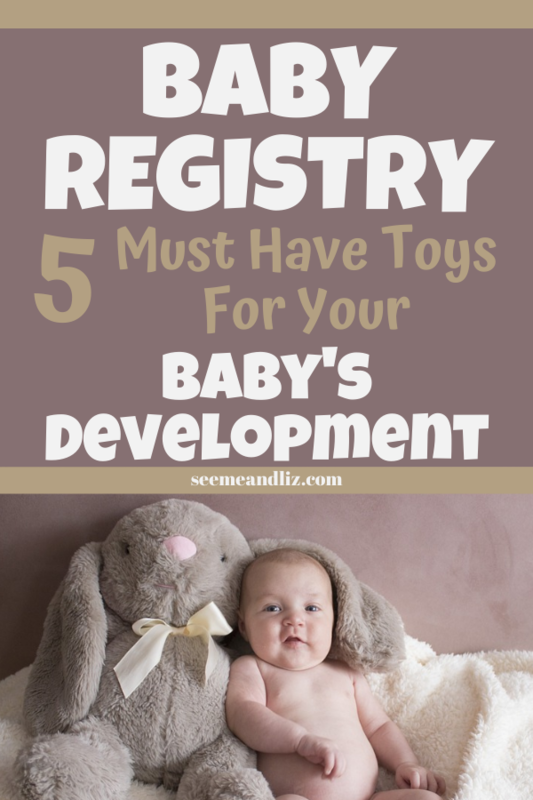 If you are expecting, make sure you include these 5 toys on your baby registry! Becoming a new parent can be overwhelming and with so many baby products to chose from it can become daunting. In this article I will only be going over toys that you should include on your baby shower registry. Along with each toy I will also give a brief description as to why the toy was chosen and how it will be able to help your baby’s development. One of the best places to set up a baby registry is Amazon. Since it’s Amazon it is all online which makes it very simple for your friends and family to purchase gifts for you new baby! I love Amazon because you can find pretty much anything there, and they let you add products from other websites to your Amazon Baby Registry! 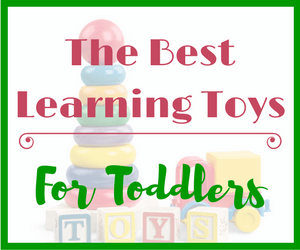 Most of these toys can be found on Amazon, however some of the best baby toys are on Etsy! So I have included a few of those as well. I will provide you with general categories here as there are so many varieties of these toys. I’ll show some examples at the bottom of each section, but in the end, chose whichever brand you prefer. 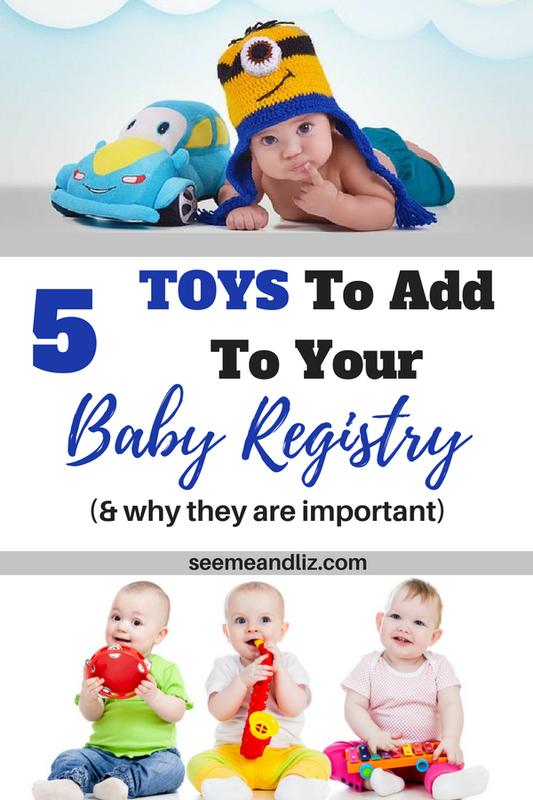 Keep in mind that until your little one is over 6 months, he/she will not really be playing with toys, other than the rattles and baby activity gym. So if you receive any of these toys as a baby gift, plan to stash them in a closet for a few months. Every baby needs a good rattle. 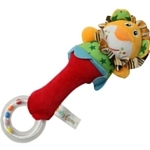 Rattles help develop your baby’s senses, in particular hearing, sight and touch. As your baby grows and is holding on to the rattle, shaking it and letting it go, his fine and gross motor skills are also developing. 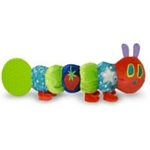 Try to choose a rattle that that does not require batteries (yes, these do exist). 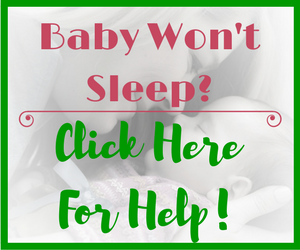 It should be as simple as possible so not to overwhelm a new baby. Also, if you want a two in one toy, be on the lookout for rattles that are also teethers! Be prepared to get a few different rattles as they get lost easily and it’s good to have one for your purse/diaper bag, one for the stroller, one in the crib, etc. you get the point! While blocks won’t be used by your baby for at least a few months, a nice block set is still a great item to add to your baby shower registry. 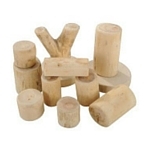 Blocks are either wooden or plastic. For a baby, I would recommend a nice set of wooden blocks. Save the plastic ones, like Mega Bloks, Duplo and Lego for when your little one is 2 or older. A baby can use blocks to bang two together, practice grasping and releasing and later on, stacking and building. 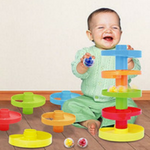 Or watch as your baby looks on in amazement when you build a tower out of the blocks and then knock it down. Your baby may vocalize to try to communicate with you to do it again! A good set of blocks will be able to last several years! Don’t worry about getting blocks with numbers and letters on them. The goal of these blocks is not to teach your little one academic skills. That type of learning will happen naturally in a few years! 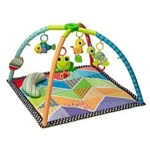 A playmat or activity gym can keep a young baby entertained for quite some time. Especially if your little one isn’t mobile yet. When choosing an activity gym look for one that is quite simple, again the fewer lights and sounds the better. Your baby will learn to reach, pull, shift eye gaze and learn about cause and effect with a baby activity gym. Some gyms come with a small pillow which can be used to encourage tummy time! Here are a few examples, click on an image for more information! Your baby will need to be about 6 months or older before using a ball drop as she won’t have the motor control prior to that to effectively use this toy. There are many many types of ball drops available and they are all wonderful for helping to develop fine and gross motor skills, hand eye coordination, problem solving and cause and effect. 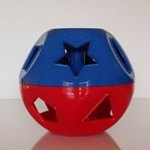 When baby is interacting with mom and dad while using the ball drop, the parents will often use language such as “put the ball in” or “I have the green ball, you have the red ball”. Although your little one won’t be speaking, he is taking in all of this language and one day you will start hearing many, many words from your little one. For more detailed information about the language opportunities that can arise from a ball drop toy check out Castle Marbleworks (Discovery Toys): A Great First Marble Run. So many toys these days require batteries, so it may be challenging to find a ball drop that is simple, without all the bells and whistles (that really don’t do anything for your child’s development). However, many of these toys will still function properly when the batteries are not put in. 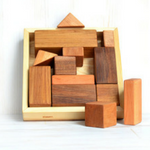 I love shape sorters for babies and toddlers, however not for the reasons you may think. 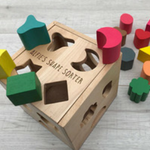 On the surface, a shape sorter seems to be a toy to teach shapes. While this is true for older children, it is not necessary for a baby or toddler. But, your little one can still develop many important skills that will be important for future learning, just by playing with a shape sorter. 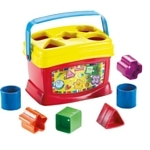 Shape sorters are great for problem solving and hand eye coordination. Your baby will soon learn that the star shape will not fit into the square cut out. She will also figure out that she needs to line the shape up to the cut out to make it fit into the box. Motor skills will also be strengthened as he practices grasping and releasing the shape. As a parent you can definitely talk about the names of each shape, you can count how many shapes there are as well as talking about the colors of the shapes. But remember, this should not be the goal of this toy for a baby. Keep it fun and let your little one explore while be exposed to new vocabulary! Don’t stress if your little one isn’t naming shapes or colors, he is still learning an extraordinary amount while playing with a shape sorter. As I mentioned with some of the other toys, keep it simple. A shape sorter shouldn’t require batteries. However, if you happen to get one with batteries, remove them. It is better if you interact with your baby than having the toy do all of the talking. 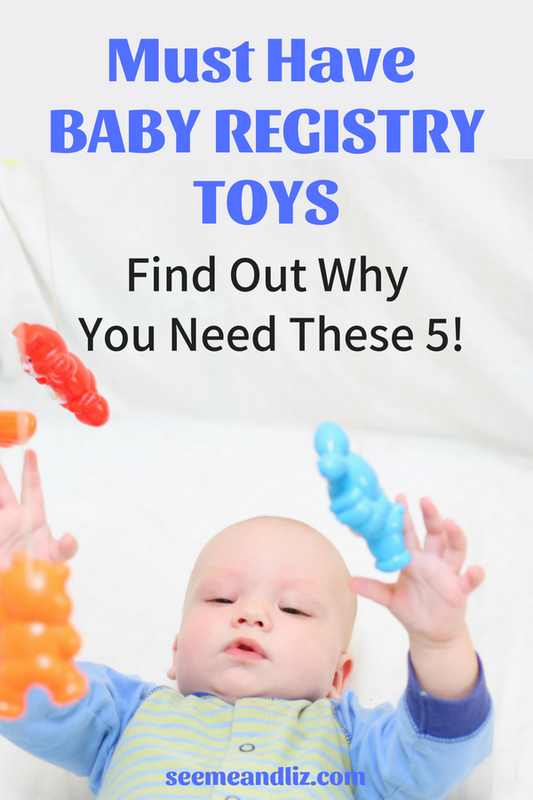 These are the must have toys for a baby registry! I wouldn’t go to crazy on the toys as they won’t get much use in the first 6 months anyway. But it is always nice to have a few quality toys on hand! Check out the Amazon Baby Registry for all of your baby needs! Might be a good addition to the list! Thanks Sarah! I agree the Bright Starts tummy time mat is also great! Wow Tanya, great post! My wife and I actually did not do the whole baby registry for our son, but some of these products are definitely worth looking into. The baby activity gym looks particularly interesting. Do you have one set up for your baby? Do you have a favorite product idea within this post? Which one do you recommend as a must have for new parents? How old is your son? Here is an article I wrote specifically about activity gyms. My kids are now 8 and 10. But we did use activity gyms for both kids. If you were to only get one item off this list I would suggest the activity gym. The toys can be taken off and many of them make noise when they shake, so that is essentially a rattle! While I’m not expecting, I am still glad I stumbled on your article! 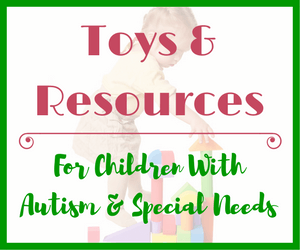 It is very informative and helped me understand what toys are good for my little brother’s development. He’s only 5 months old. 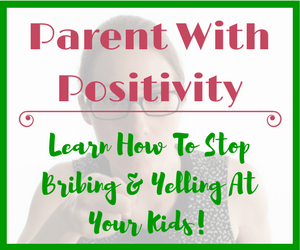 I don’t know all that much about how kids develop so your article really helped me. I always wondered why babies are so fascinated with something as simple as a rattle. You really helped clarify that. I actually have some friends who just found out they are expecting. Now I know exactly what I will get them. Even if it’s not a toy on their baby registry! Thanks for your comment. It’s often hard for adults to think about what life must be like for a little baby. They have no idea what anything is. That is why something as simple as a rattle can be so intriguing. If you are interested in learning more about baby toys and how they support many aspects of development, take a look at this article. 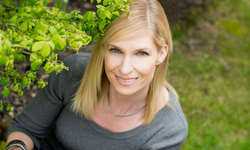 Hi Tanya, All of your ideas here are so great! My kids all loved the wooden blocks as babies, but I bought a great set of Duplo for my son’s 1st birthday and he is still playing with them on his 7th! They are truly the longest lasting toy. 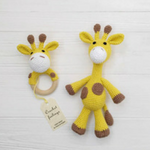 I loved the ‘Sophie’ giraffe chew squeaky toy for my babies too. Just a lovely thing to hold and squeeze and chew for a baby. 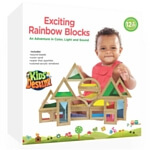 Blocks of all kinds are wonderful for a baby’s and toddler’s development. And it is nice because as you said they will get used for years to come. My kids both had a Sophie giraffe. I was thinking of including it on this list of toys for a baby registry, but it didn’t really fit with the developmental aspect of the toys I was adding. But it defintely is something that soon to be parents should include on their baby shower registrires. The joy of motherhood, I remember those days when I would be very picky and choosy about what toys I buy for my children. I was very protective of them and their safety. Thank God they are grown now, and I don’t have to do so much worrying again. Most of those toys you have featured, I have bought for my last child. 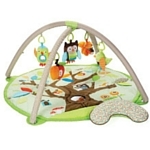 Children love those activity mats with the little hanging objects that make music. Those are all great buys. Thanks for your comment. I agree, activity gyms are must have for new babies! You can even get portable ones now! Although I think they are all somewhat portable, but I guess they make it even easier with some.